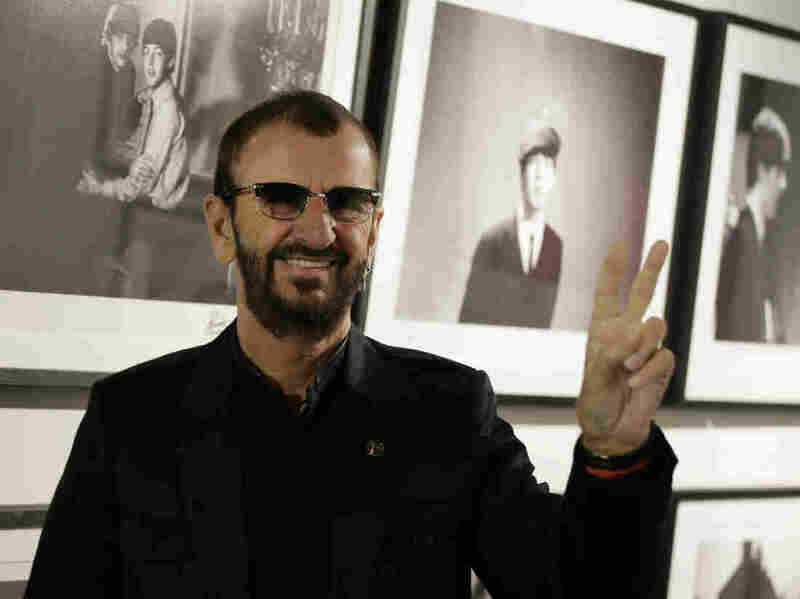 Ringo Starr Cleaning House, Will Auction Beatles 'Stuff' For Charity : The Two-Way The Fab Four drummer is putting an original pressing of the White Album, a guitar once owned by John Lennon and one of his own Ludwig Oyster drum kits on the block. Pop icon and former Beatle Ringo Starr poses for the media in front of some of his photographs as he launches a book, Photograph, in London on Wednesday. 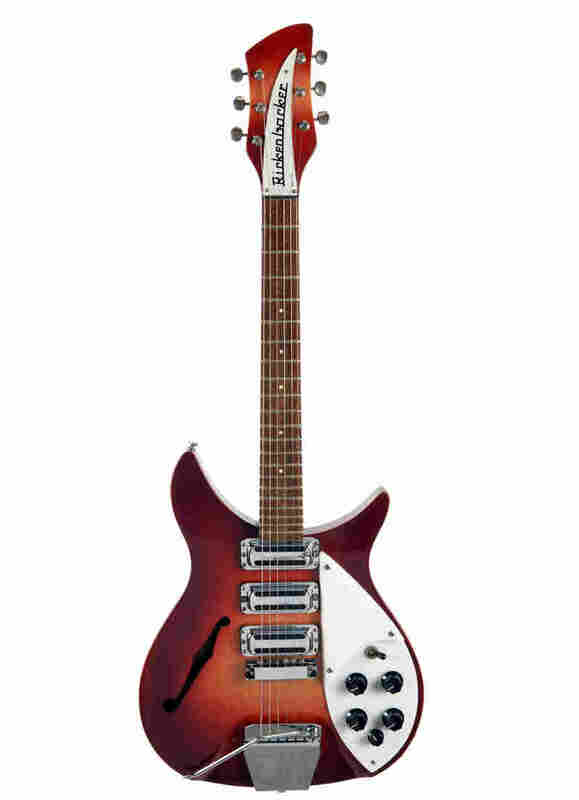 A photo provided by Julien's Auctions shows a 1964 Rose-Morris Rickenbacker electric guitar, nicknamed 'The Beatle Backer,' that was owned by John Lennon and later given to Ringo Starr. Ringo Starr seems to be on a bit of a cleaning binge. And that can be a chore when you own an estate in London, one in Beverly Hills and another in Monaco. Last week, the Beatles drummer announced that he was preparing to publish a new book of never-before-seen photographs he took of the Fab Four in the '60s, explaining: "I had a lot of stuff in storage, and we had to move everything, and I started finding books of negatives, a lot of them I didn't know I still had." Now, Starr says he's ready to auction off more than 800 items owned by him and his wife, including a Rickenbacker guitar known as the "Beatle-Backer" that John Lennon owned and later gave to him. "We have so much stuff and a lot of it we haven't seen in 20 to 30 years," Starr, 75, said in a phone interview with The Associated Press from London that included his wife, actress and model Barbara Bach. "We thought, 'What are we going to do with all this stuff?'" he said. So they turned to Julien's Auctions in Beverly Hills, Calif.
"We're fed up with having the stuff in storage when it could be put to some good use and also give a lot of people joy," Starr told the AP. 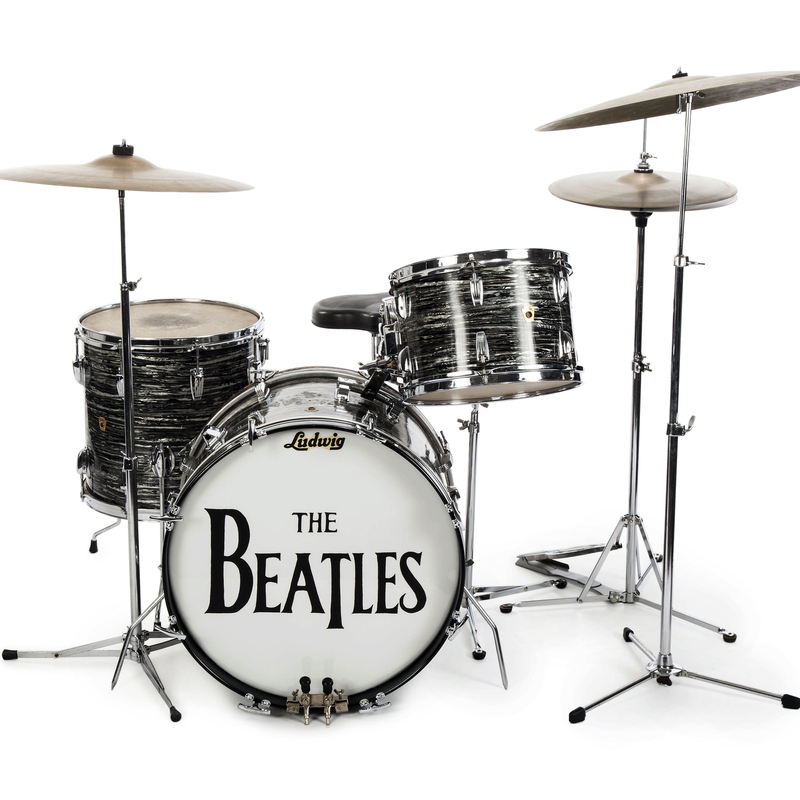 This undated photo provided by Julien's Auctions shows Beatle Ringo Starr's first 1963 Ludwig Oyster black pearl three-piece drum kit — one of the items up for bid. -- One of four first pressings of the famous White Album (one for each Beatle), which Starr says he has had locked in a bank vault for 35 years. -- Besides the Rose-Morris Rickenbacker already mentioned, a Gretsch guitar given to Starr by George Harrison. -- A Ludwig Oyster black pearl three-piece drum kit used by Starr in more than 200 performances and recordings in 1963-64. -- A 2000 Mercedes coupe that belonged to George Harrison but was acquired by Starr after his band-mate's death in 2001. -- And, various artworks, described in a Julien's press release as "an original Nikas Safronov portrait of Ringo Starr, a Peter Blake 'Love Me Do' screen print of The Beatles, a print by David Hockney, and also original artwork by Ringo Starr himself." The AP says that proceeds from the auction, like the book, Photograph (out on Sept. 21), will go to the couple's Lotus Children Foundation.